Do not post personal information or images relating to your home, family, workplace or possessions as this is public forum. Feel free to post about your home town, countryside, hobbies, sports, subjects of special interest or study, culture, tourist attractions. No more than three images or three external links allowed in any post or reply. Please trim quotations and do not include images in quotes unless essential. 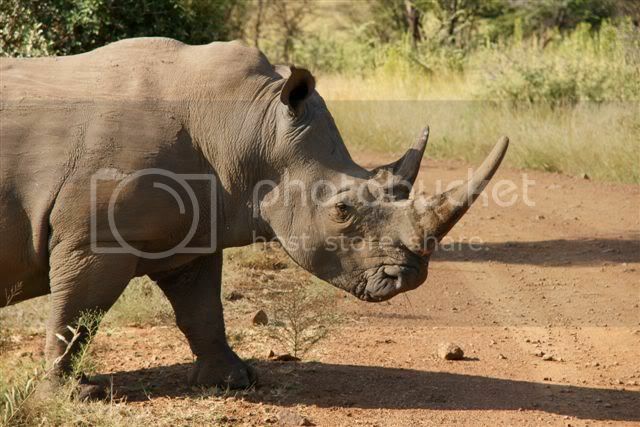 Tadays view, The White Rhinocerous.... so who knows the difference between the white and black rhino's? The white rhinoceros is actually larger, wider, and heavier than the black rhinoceros which is narrower and weighs less. The white one also has a wide mouth form while the black one has a pointed mouth form. The white ones majorly live in South Africa while the black ones are prone to east and central Africa habitats. ps. I hope I pass the test. Well...Thank you your Imperial Excellency! Now this is an astounding idea. Please don't let me stop you. Haha, yes, I think you got the answer. But the main difference is that the white one has a wider mouth and is more of a grazer of grass, the black one's mouth is narower and eats more from shrubs and bush. We have both of them in South Africa..
Now I know what I'll be doing the next time I'm out and about doing shopping in the city: buying more than a couple of lottery tickets to increase my chances! aster wrote: Well...Thank you your Imperial Excellency! I'll have to get some pictures of Canadian Zebras and post them. Shoot babies to fight infant eye cancer. Javelin wrote: I love Zebras. Canadian Zebra's? You gotta be kidding??? is this for real? Didn't know you got something like that. Please educate me and post a pic! Well, that explains that. Sorry, home bred animals don't count.. hahaha.. There are actually 2 breeds of zebra over here..Burchells and the Cape Mountain Zebra. And guess what? they are wild!! hehe.. it is Africa after all. 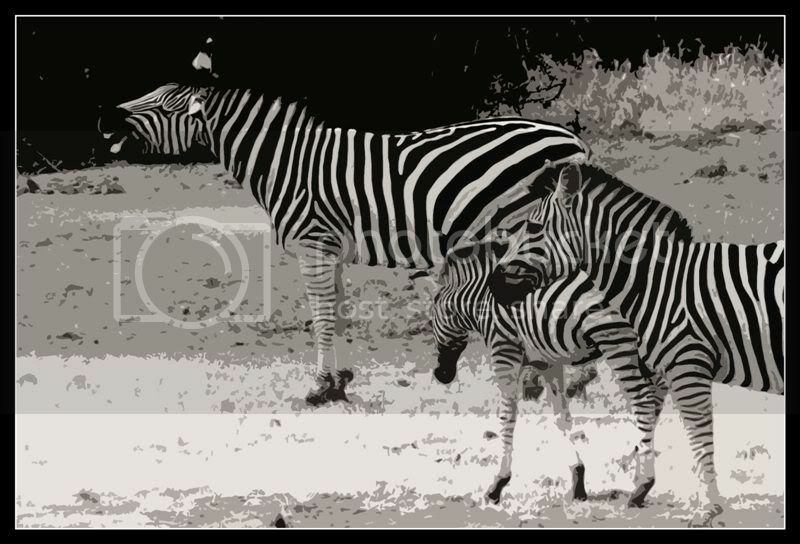 And since we on the subject of Zebras, they are the easiest animals to convert their pics to pieces of art. Nery nice. and yes I suppose so. no matter what you do to the pictures those stripes show through and there is no mistaking them. Javelin wrote: ...those stripes show through and there is no mistaking them. FYI, tse-tse cannot discern zebra's "costume" from the grass, thus not biting them and eventually not infecting them with "sleeping disease". Really? thats interesting. The navy painted their ships with patterns like that and they would dissapear against the horizon and make it hard to judge the range..